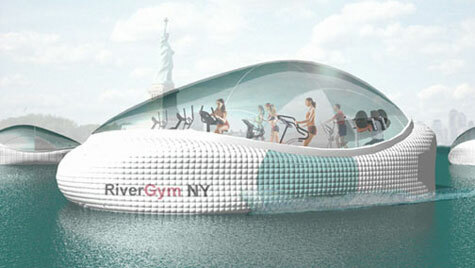 The River Gym concept is a human-powered floating gym that will provide the user with the one experience that no other gym can provide: floating your workout around Manhattan. Designed by architect Mitchell Joachim and personal trainer Douglas Joachim, this project could bring inspiration to both the morning commute and workout. The concept is actually quite simple - harness all that human locomotion into energy to propel vessels along the Hudson and East Rivers, to several points across the city. 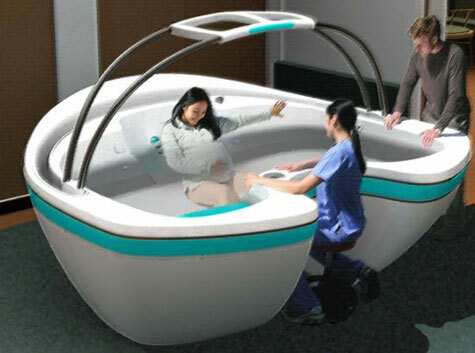 The WAM-V? -Wave Adaptive Modular Vessel- is a new class of watercraft based on a patented technology that delivers a radically new seagoing experience. These ultralight flexible catamarans are modularly designed to allow for a variety of applications and to fit the requirements of specific users, missions or projects. See more info and images after jump..